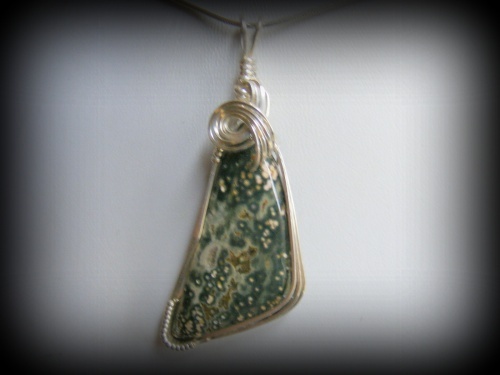 This beautiful and unique Ocean Jasper gemstone is suppose to promote relaxation and cooperation to the home or workplace. The stone colors is greens and tans in floret patterns, making the stone exciting. Piece measures 2 1/4" long from top of bail to bottom of stone and 3/4" at its widest point. Comes with a sterling silver snake chain.